This year Taormina will host the 62nd edition of the Taormina Film Fest that will take place from 10 to 18 June 2016. The festival is one of the oldest cinema-related events in Europe and the main Italian summer film event, held part of the Taormina Arte exhibition. Since getting more focused on the Mediterranean culture in 2007, the festival has become a focal point for the film culture of this region. The festival is a great “window” both for Hollywood premieres but as well for Italian and foreigner movies. Each year indeed the festival presents a selection of films in the first international or world view. 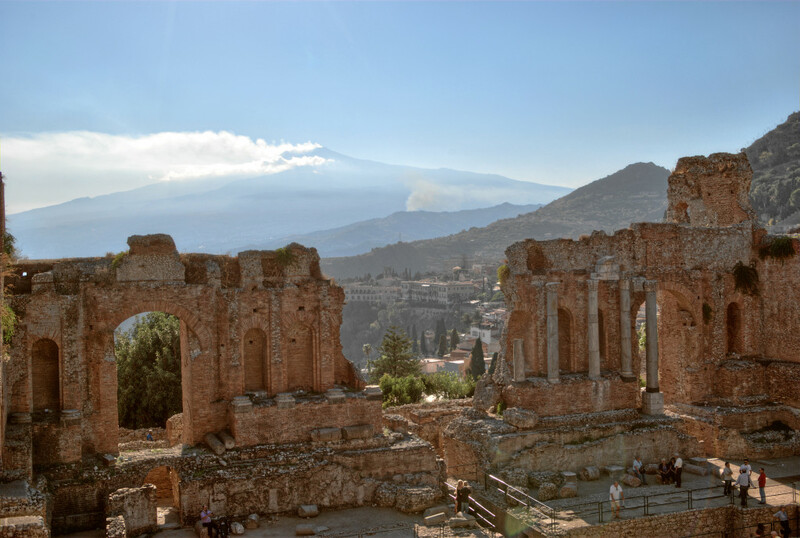 The event takes place in the stunning setting of the Teatro Antico, the Greek amphitheatre of Taormina, one of the most important and evocative monuments in Sicily. Organized by the Taormina Art Committee, the festival has continued to enhance its importance over the years, since it became a regular appointment for Italian and international filmakers back in the 60s. The days of the festival are the most packed in town, where will take place side events along with the usual parade of international stars. This is why you could use an accommodation outside of Taormina, maybe in one of our villas in the area. At the end of the Filmfest a jury will reward the best movies, actors and directors with the delivery of the Nastro d’Argento (silver ribbon).